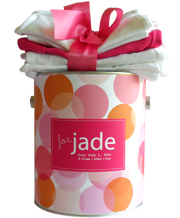 FAQ : Goodie Tins - The more sophisticated cousin of the gift basket. What does Goodie Tins do differently? How can I rush a delivery? Does Goodie Tins offer wholesale pricing? What photo formats do you support? What sizes do your tins come in? Goodie Tins accepts Visa, MasterCard, American Express and Discover credit card payments. You can also choose to pay with PayPal. All orders taken online using credit or debit cards are encrypted and highly secure. We use the highest quality encryption and authentication methods for all sensitive data, including credit and debit card numbers. Sign up for emails from Goodie Tins. Enjoy FREE shipping on your first order!